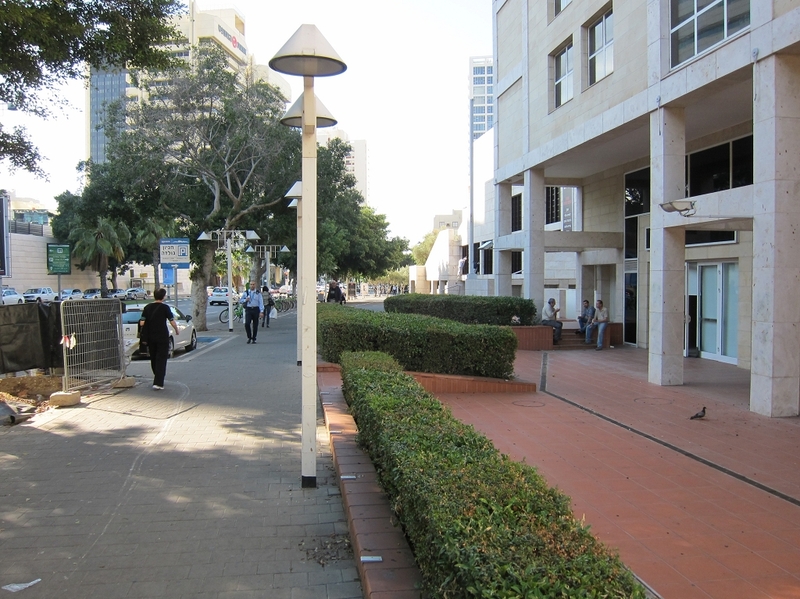 The Golda Center is named after Golda Meir, who was the first Israeli woman Prime Minister. 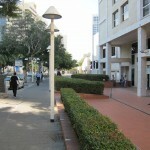 It is one of the two largest cultural centers in Tel Aviv. 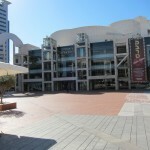 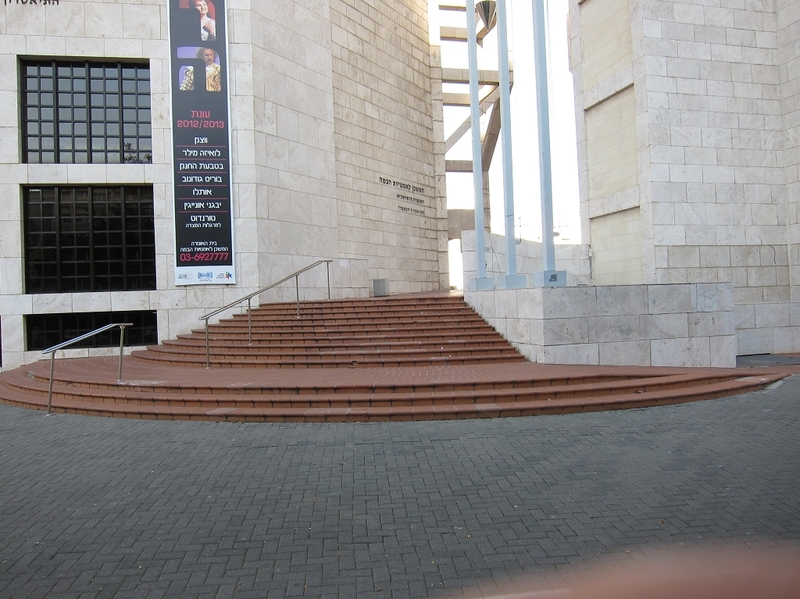 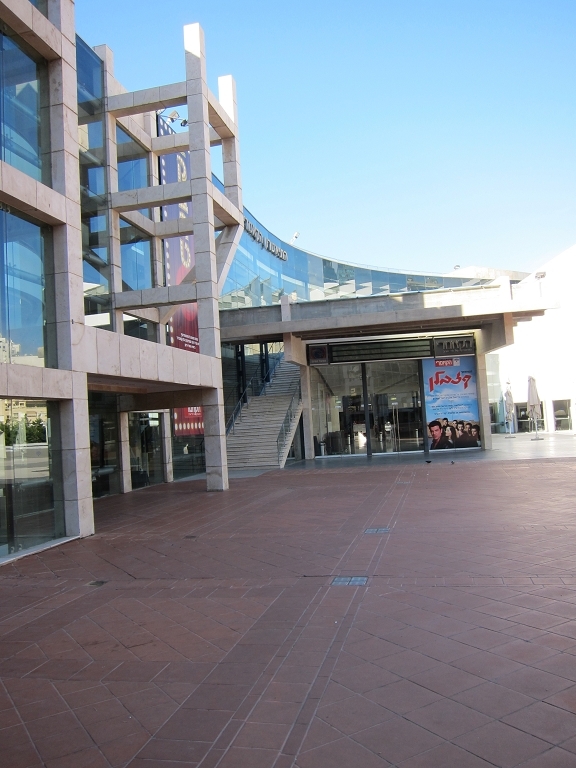 The Center houses today the Tel Aviv Performing Arts which is the home of the Israel Opera and the Camerei Theatre. 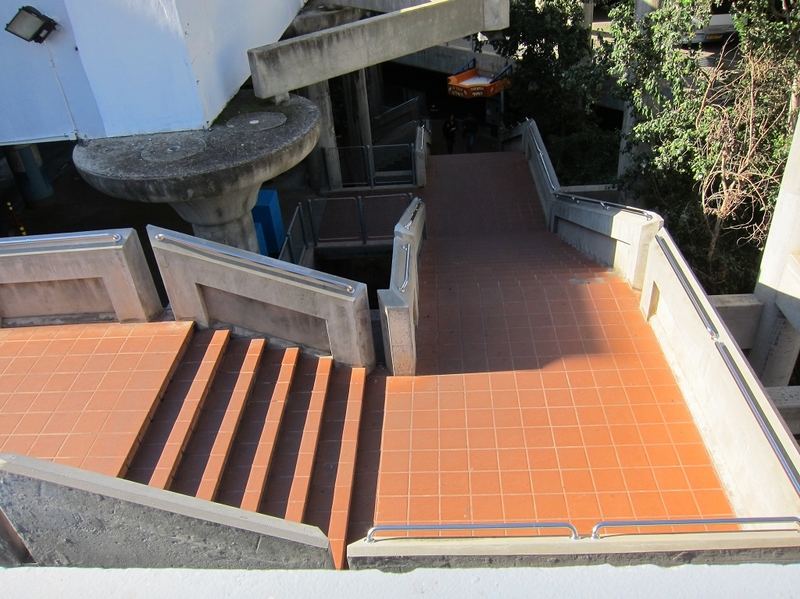 The project was designed by the Israeli architect Jacob Rechter, who was awarded the Israel Prize for Architecture. 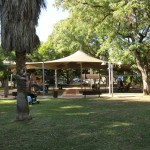 This is the States highest honour. 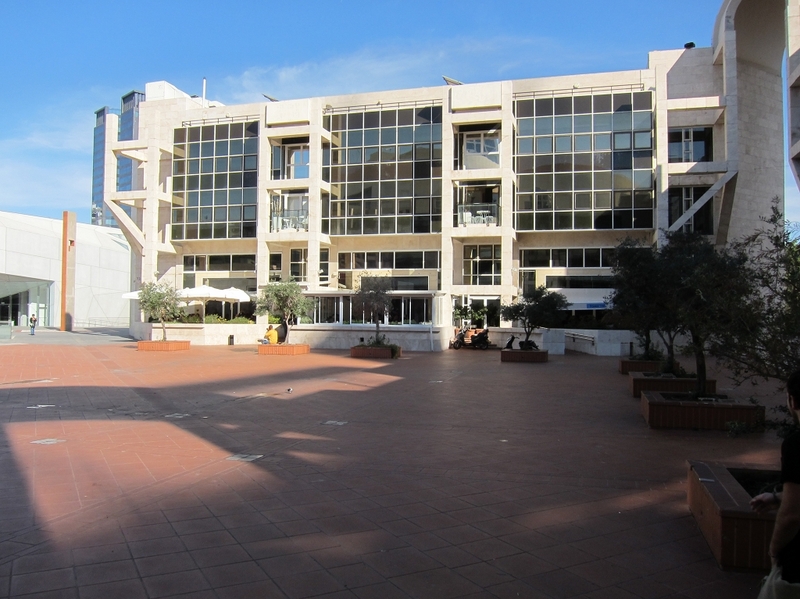 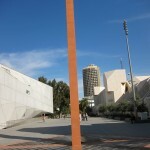 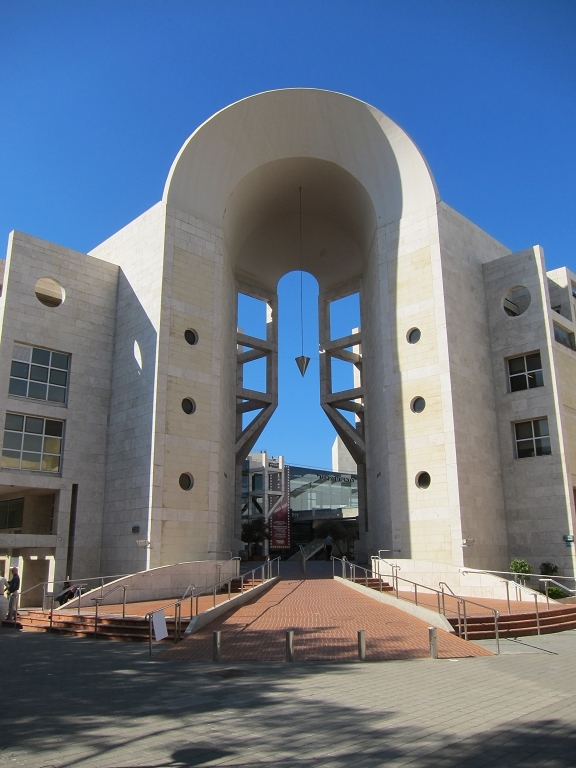 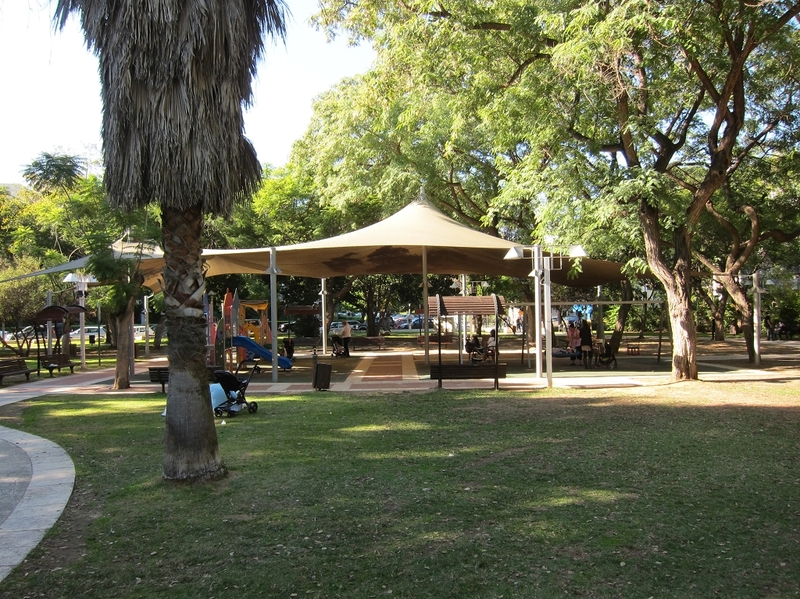 It is located in a unique area of Tel Aviv adjacent to the Central Municipal Library Beit Ariela and the Tel Aviv Museum of Art on King Saul Boulevard. 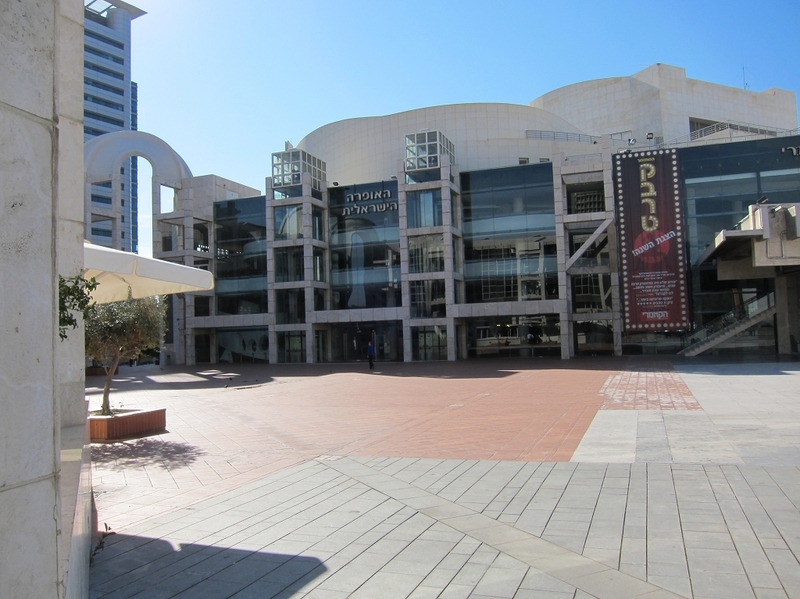 The project began its opening stage on the 23rd of October 1994 and it consisted of three wing buildings around a big plaza, which were the Performing Arts Center and two office buildings, “Shaul House ” and “Jonathan House”. 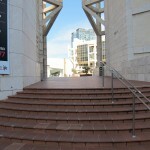 The square opened towards King Saul Boulevard through two impressive arched entrances to the south while there was a way connecting through the north-east part of the plaza to the Municipal Library Beit Ariela and the Tel Aviv Museum of Art and to the north- west to Dubnow Park. 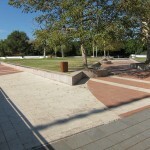 This popular wide garden area people to relax, was designed by Landscape Architect Gideon Sarig. 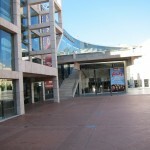 Nowadaysthe Performance Arts Center is formed by four wings with additional buildings around the square. 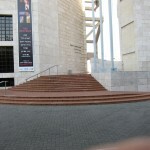 The Cameri Theater building, connected to the Performance Arts Center had opened its gates in 2003, designed by Architect Amnon Rechter son of late Architect Jacob Rechter, while a new section of the Tel Aviv museum - Herta and Paul Amir Building, was inaugurated in 2011, designed by American architects Preston Scott Cohen. 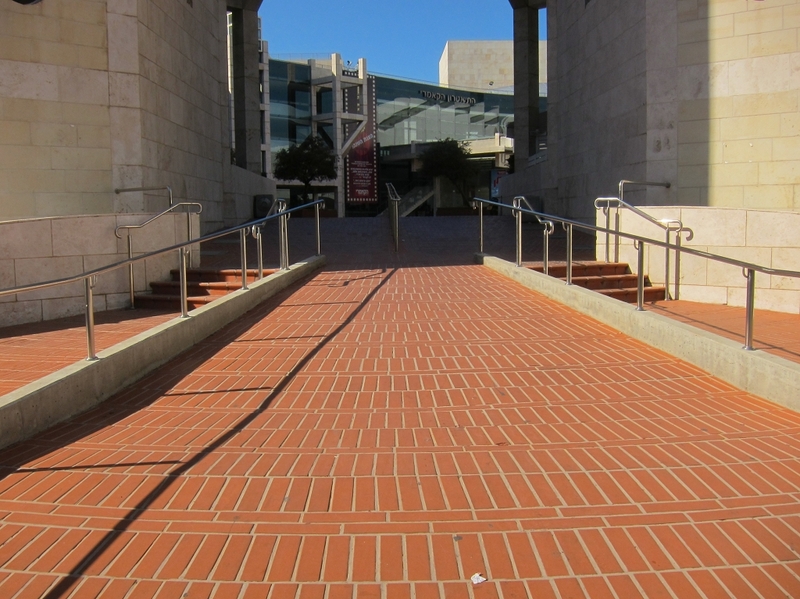 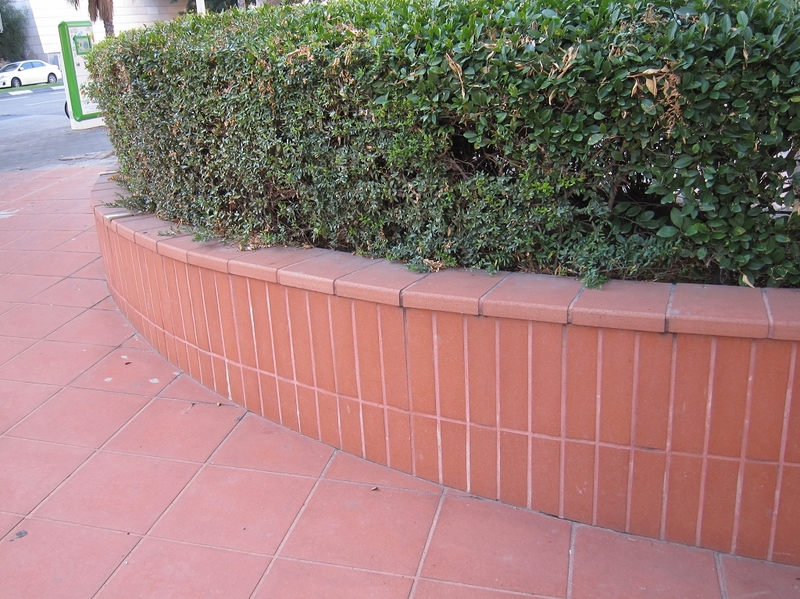 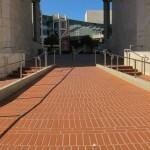 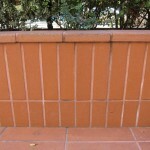 Jacob Rechters’ vision was to create a square plaza with “Florentine red” Cotto (Terracotta) external paving tiles in various sizes and forms which would match wonderfully with the travertine wall facing of the buildings around. 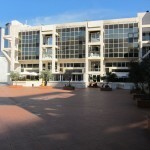 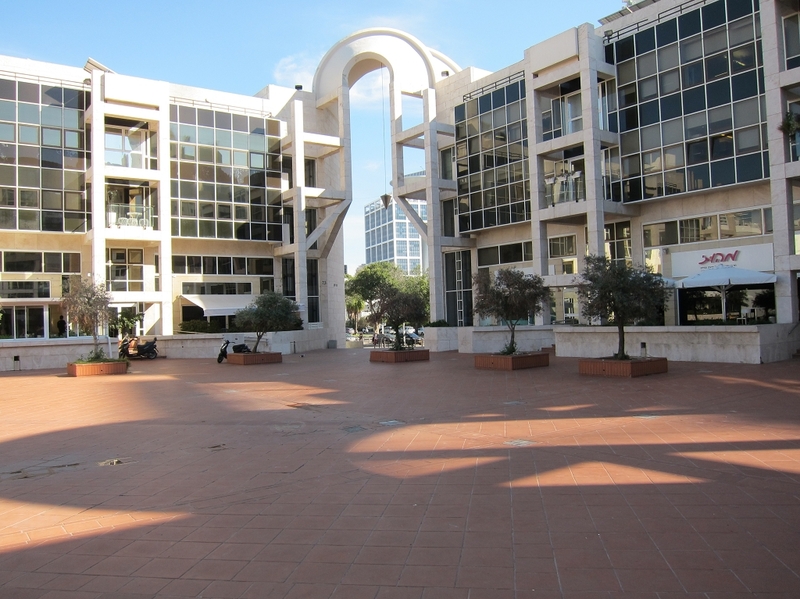 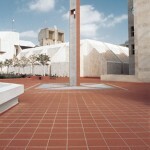 The square pavement made by the red tiles created and impressive impression on the public giving to Tel Aviv a kind of an Italian public piazza (plaza). 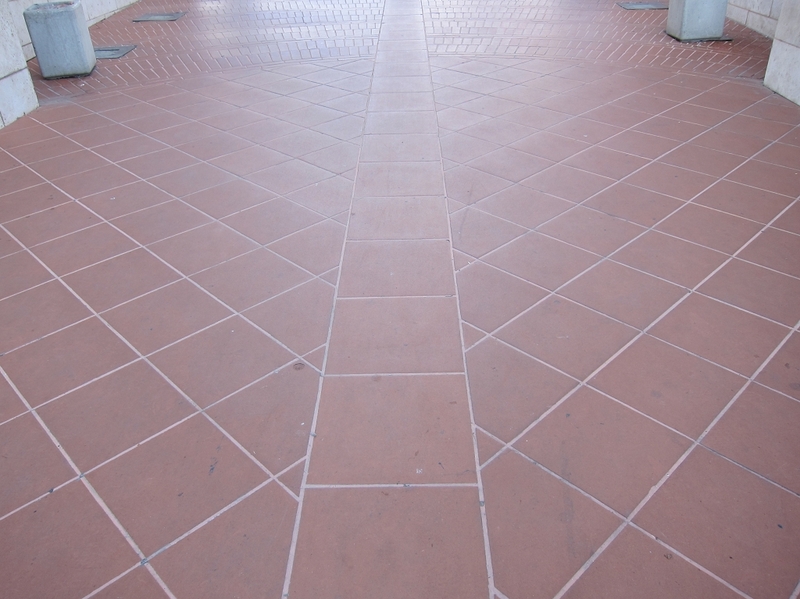 The design of the pavement is formed by different rustic tiles of different sizes, creating matches between them with great harmony. 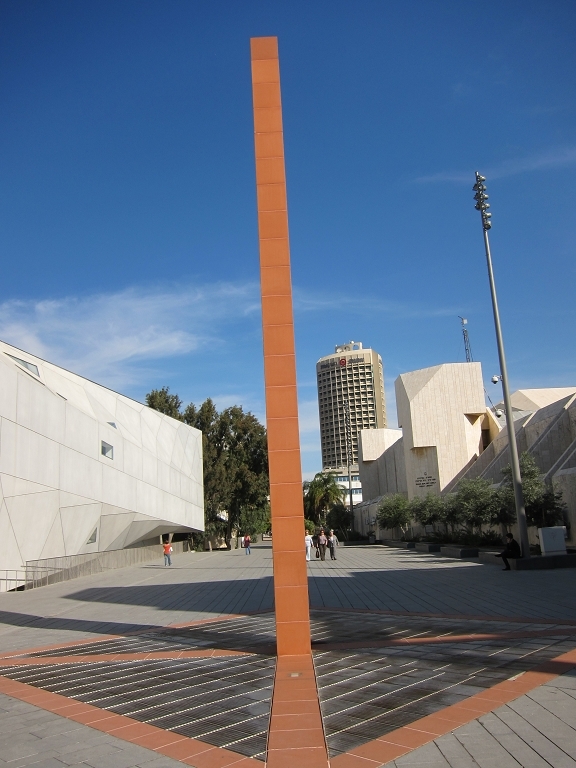 A strip of external paving tile 50 by 50 cm passes through the square from the south-west entrance towards a ten and a half meter high prefabricated column sculpture which is covered with the same sized “Florentine red” rustic tiles. 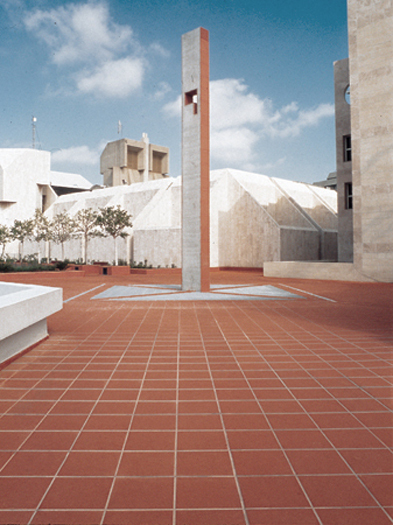 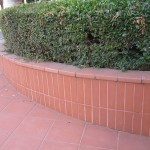 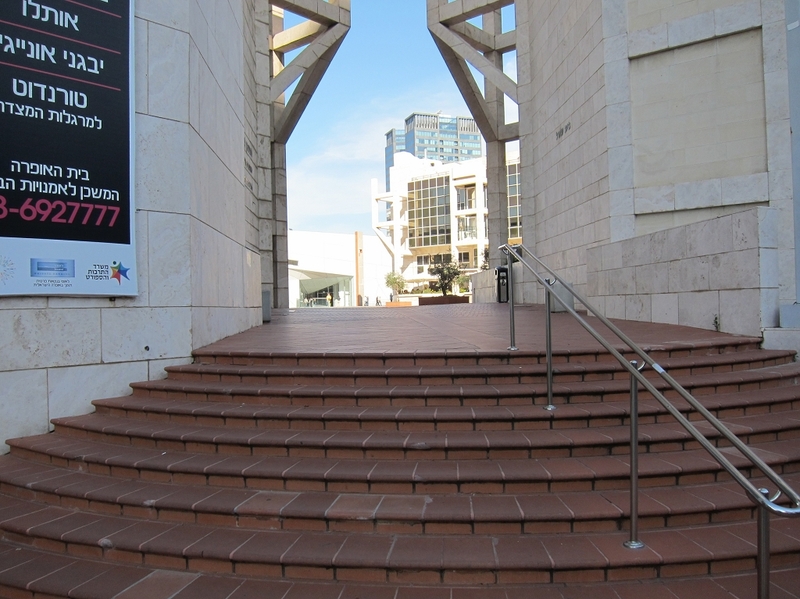 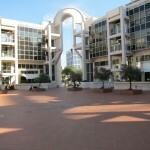 Part of the design of the square is formed with planters of flowers and greenery covered by coping materials with different tile sizes which are also present in the passage way connected through the north -east part of the plaza to the Municipal Library Beit Ariela and the Tel Aviv Museum of Art. 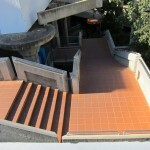 “Florentine red” Cotto stairs or by elevators. 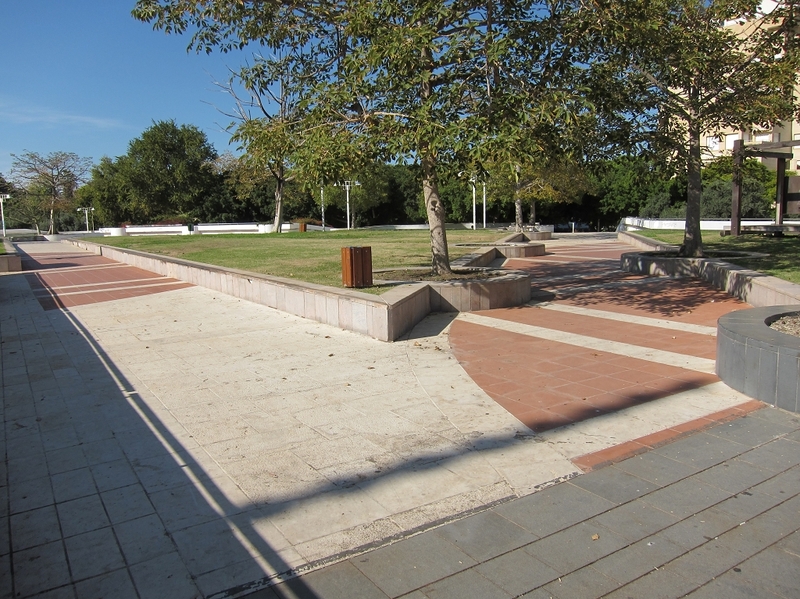 The square is connected as mentioned before to the Dubnow Park by paved red cotto tiles used together with local white limestone, forming different pavement designs. 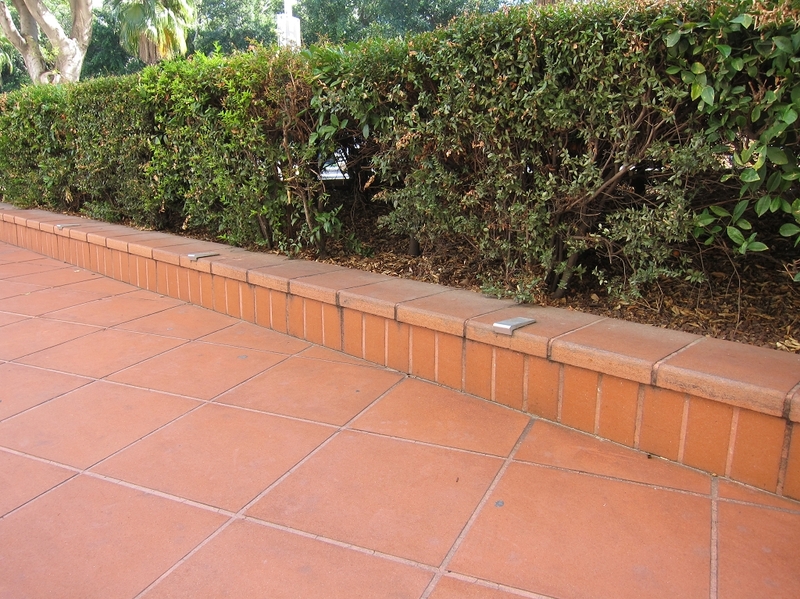 The commission for the project headed by Architect Jacob Rechter had approved the rustic surface tiles due to their technical properties which can be used for external paving and external facing, being frost resistant, abrasion resistant, UV resistant and ph resistant. 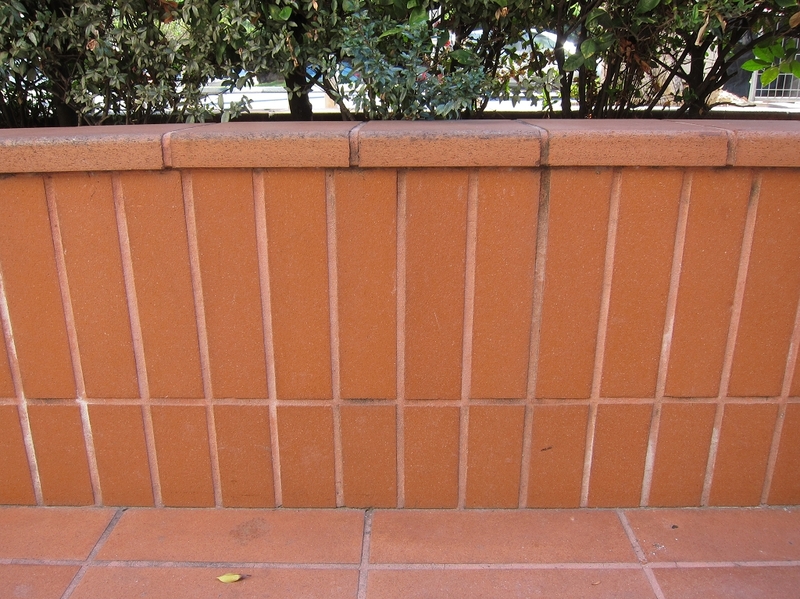 All the material supplied for the project has been manufactured by Il Ferrone S.p.A from Greve in Chianti (Florence) with their clay quarried from their own pits. 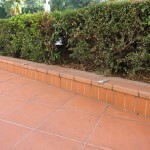 The high quality extruded tiles supplied had to be split at the working site with the fantastic result that non of the tiles had been broken during the splitting procedure. 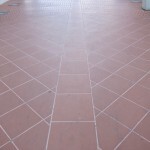 The article had been written in year 2012 while part of the original paving schema had been changed due to additional buildings been built since year 2001.